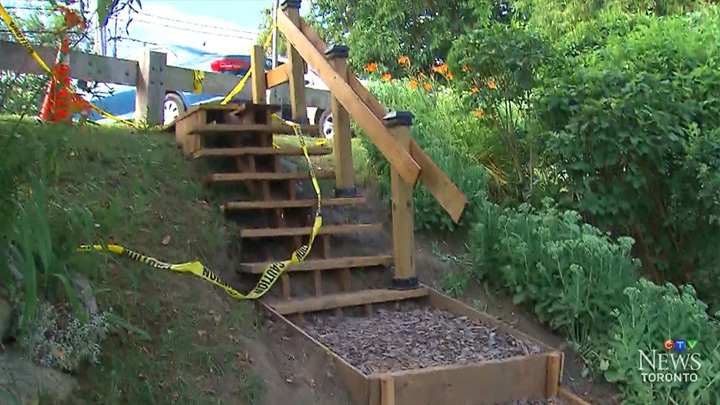 Retired mechanic Adi Astl says he took it upon himself to build the stairs after several neighbors fell down the steep path to a community garden in Tom Riley Park, in Etobicoke, Ont. “I thought they were talking about an escalator,” Astl told CTV News when he learned about the city’s estimation of the project. 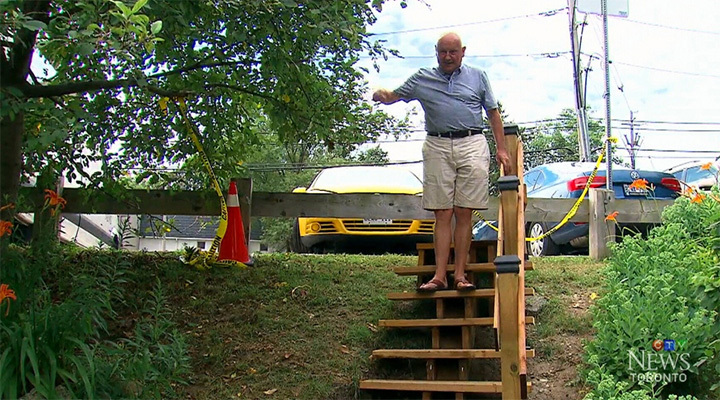 Astl says he hired a homeless person to help him and built the eight steps in a matter of hours for just $550.